SEO has always been and, is likely to be an ever-changing industry. Only a few years ago, all you needed for a highly ranked website was a list of keywords and fresh content. Nowadays, you have to keep in mind smart link-building, social media signals, site speed, ever-changing Google algorithms, and, of course, the King – His Majesty Content. It is difficult to manage all this, indeed, but difficult doesn’t mean impossible. 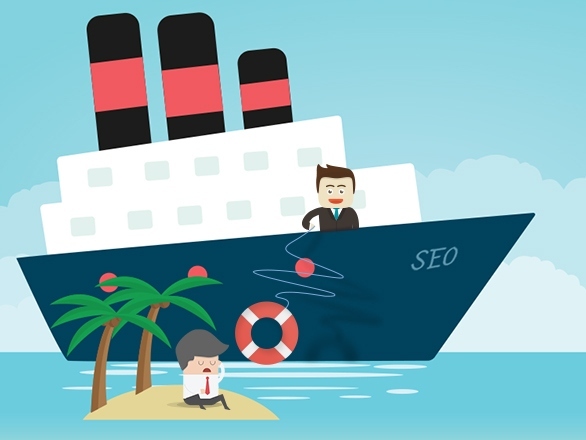 So, let’s analyze what a site owner should pay special attention to let his site survive and flourish in the new SEO age. The greatest changes in the realm of SEO are very closely associated with the well-known Panda and Penguin Google’s search results ranking algorithms launched over the last years. Major changes have been introduced step-by-step starting with the first one in February 2011. What does all this mean to an average site owner? Well , it means working hard to rank high in the search results. But, luckily, the game is worth the candle. And this is why. There is a huge difference between link-building now and link-building some 3 years ago. After Google Penguin was launched on April 24 of 2012, all the websites that relied on low-quality, automated link-building (like auto-approved blog commenting, forum posting, directory listing, etc. ) saw their rankings drop sharply down. Today, you should make complete content strategy working for you, to succeed. This includes relevant anchor text, linking to credible link-worthy content and having backlinks between powerful authorities in your industry. This is what search engines like. Social Media Signals include Facebook Likes and shares, Twitter Retweets, Google +1′s and shares, LinkedIn shares, etc. By embedding social sharing buttons you can easily encourage users to grant more positive social signals for your site pages. Moreover, having a lot of social shares means increased traffic, which can mean more user activity for search spiders. To sum it up, we can see that Google’s efforts to tighten up the search engine results are primarily aimed at sites that have used bad SEO tactics in the past. The bad habits are also called Black Hat SEO techniques including keyword stuffing, doorway pages, using invisible text, adding unrelated keywords to the page content or even page swapping i.e. changing the webpage entirely after it has been ranked by search engines. To survive in the age of new SEO (also called White Hat SEO) you will have keep working on keyword analysis, link building and backlinking as well as writing content for human readers for the reasons as explained above. Rebuilding good reputation will definitely take time. Some experts say, it can take up to sixth months to keep a site ranking high according to the new white hat algorithm. But be patient and in the long run your site will be resilient and unaffected by future Google updates.